I never used to be a breakfast eater. If I did break my fast, after a night’s rest, it was with a sugar laden breakfast bar or a quick trip through a fast food drive through. I knew breakfast was considered the most important meal of the day. I just never felt very hungry in the mornings. 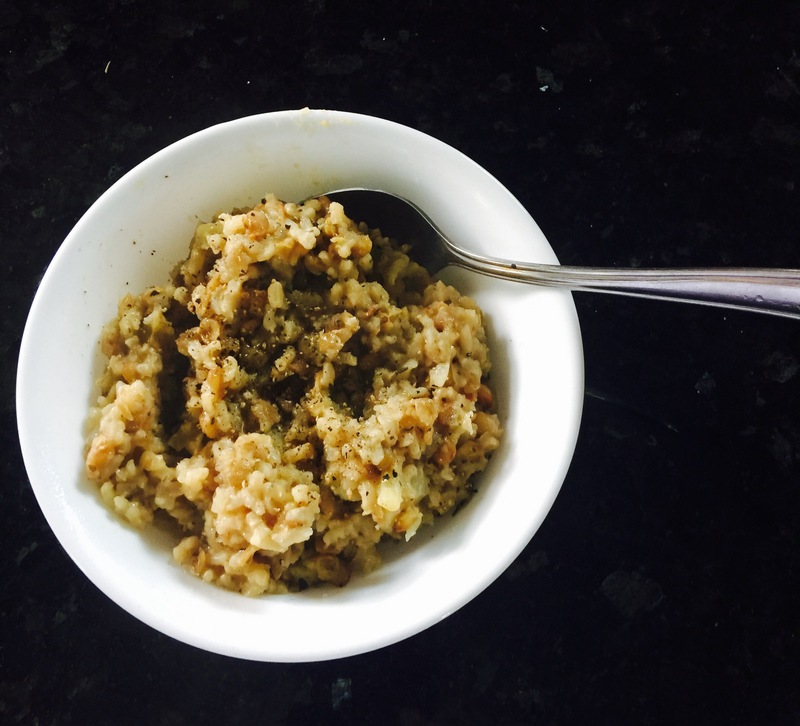 When I started a plant based lifestyle, I quickly found a morning solution. Before noon, I only drink liquids. After a mug of warm lemon water, followed by a glass of freshly pressed celery juice, it is time to drink my fruit! 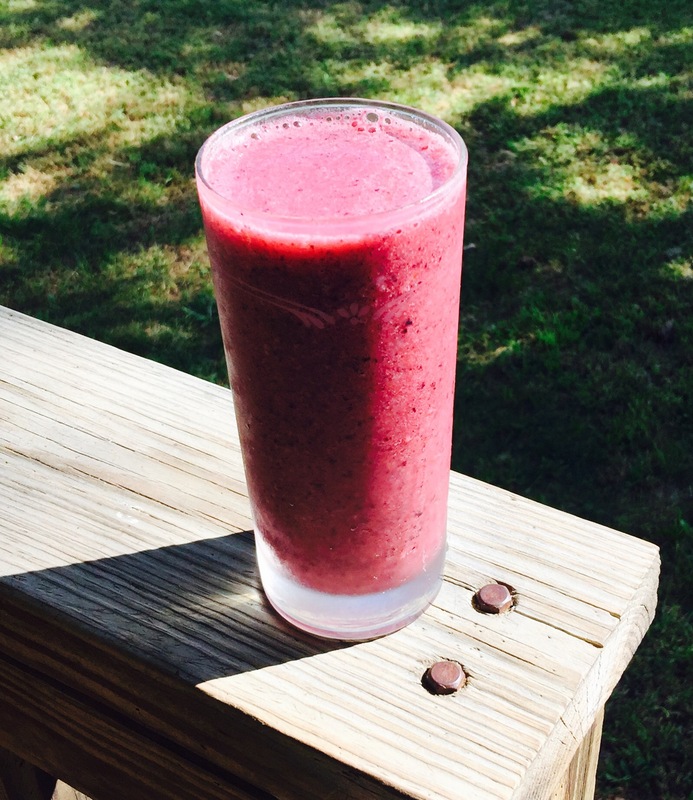 While veggies can be added to morning smoothies, I prefer to stick with fresh or frozen fruit, for several reasons. The natural fructose found in fruit is totally different from refined sugar, and fights disease, rather than feeding it. Fruit sugar leaves the stomach and enters the bloodstream within minutes of consumption, bypassing the intestinal tract. Dark leafy greens and other fresh vegetables can be added to lunch or dinner smoothies. Morning smoothies are so quick and easy to prepare. All that is needed is a blender and an assortment of fresh and frozen fruits. Combine in blender: 1 banana cut into chunks, 1 orange divided into segments, 2 pears cut into chunks, 3/4 cup water, 1 tablespoon chia seeds, optional. Blend until smooth. Bananas, which are full of fiber and vitamins, are a powerful antiviral food that makes the perfect base for a smoothie. This naturally sweet tasting fruit thickens the smoothie while alleviating digestive disorders and stabalizing blood sugar. 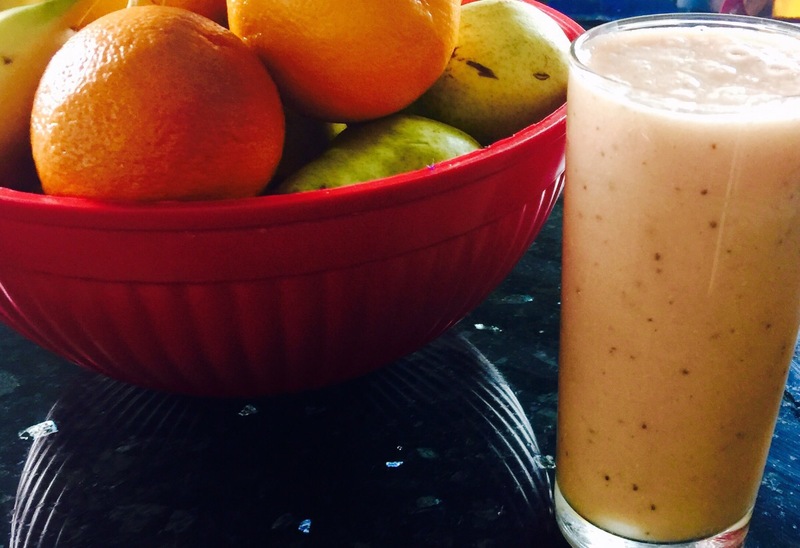 Smoothies are a great way to include pears to the diet. This fiber dense fruit soothes the whole digestive tract while helping to expell toxins from the body. Chia seeds are high in omega 3 fatty acids, for heart health, and deliver massive amounts of nutrients. 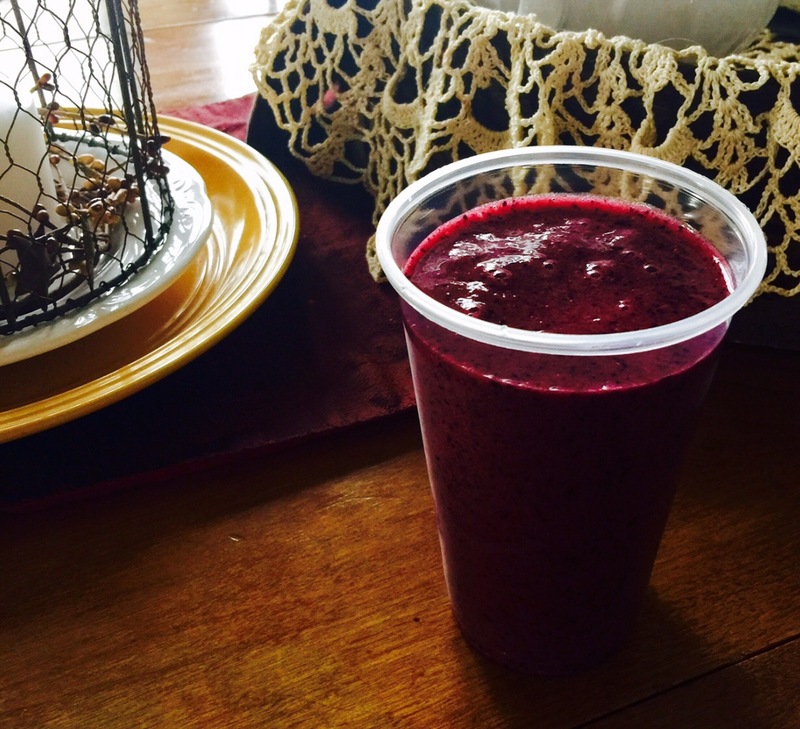 Combine in blender: 1 banana cut into chunks, 1 cup frozen wild blueberries, 1 cup frozen or fresh mango, 3/4 cup of water. Blend until smooth. Mangoes are wonderful for relieving stress and providing viral protection. They strengthen and support the skin, help to reverse diabetes, and calm the nervous system. I buy frozen mangoes, no sugar added, because I find fresh ones difficult to cut up! Wild blueberries are considered to be the world’s most powerful food. These little berries are extremely high in antioxidants, effective in detoxing the body and removing heavy metals, and prevent a host of diseases. Buy bags of wild blueberries in the frozen food section. Cultivated blueberries only have a fraction of the health benefits. 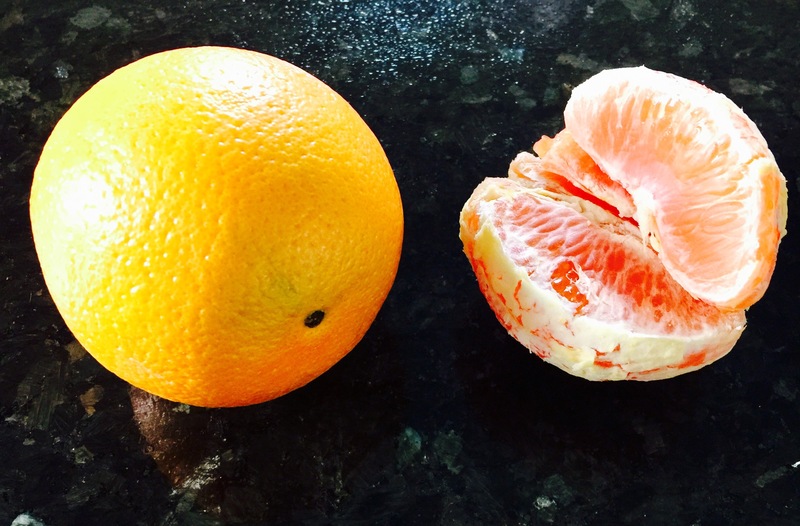 I have fallen in love with blood oranges this winter, and Cara Cara oranges. They have a dark pink or red flesh and a sweet, tangy flavor. 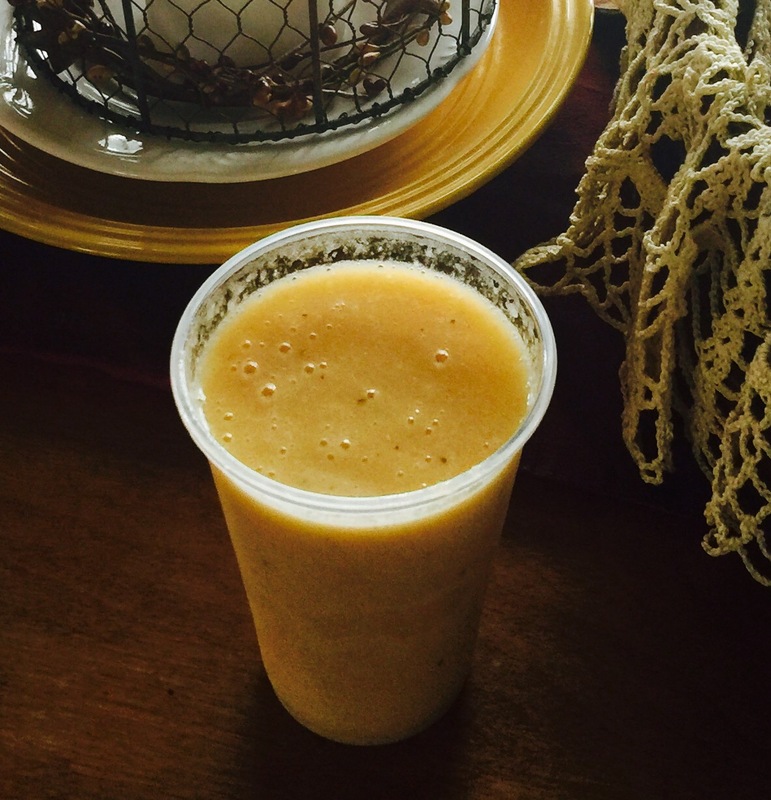 During allergy season, or when it feels like a cold is coming on, try this vitamin C packed smoothie. 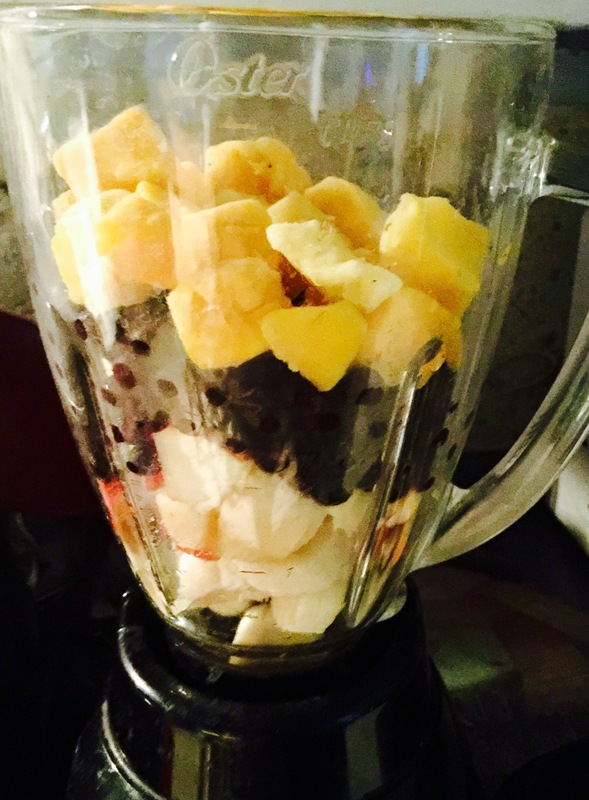 Combine in blender: 1 banana cut into chunks, 1-2 oranges divided into segments, 1 cup frozen pineapple chunks, no sugar added, 3/4 cup water, 1 tablespoon hemp seeds, optional. Blend until smooth. Besides being high in vitamin C, oranges are a rich source of bioactive calcium, flavonoids and limonoids. This fruit fights off viruses and deactivates heavy metals in the body. Pineapple is anti-inflammatory, supports the immune system and protects the eyes, bones and digestive system. Hemp seeds, purchased in the baking section at the grocery store or in health food stores, are an excellent source of omega 3 and omega 6 fatty acids, which are important to heart health. They are considered the perfect protein and they are full of vitamins and minerals. This tropical smoothie has been my favorite all winter. And on cold, gray mornings the bright yellow/orange color is like sunshine in a cup! There are endless ways to combine fruits for morning smoothies. I’ve shared only a few possibilities. 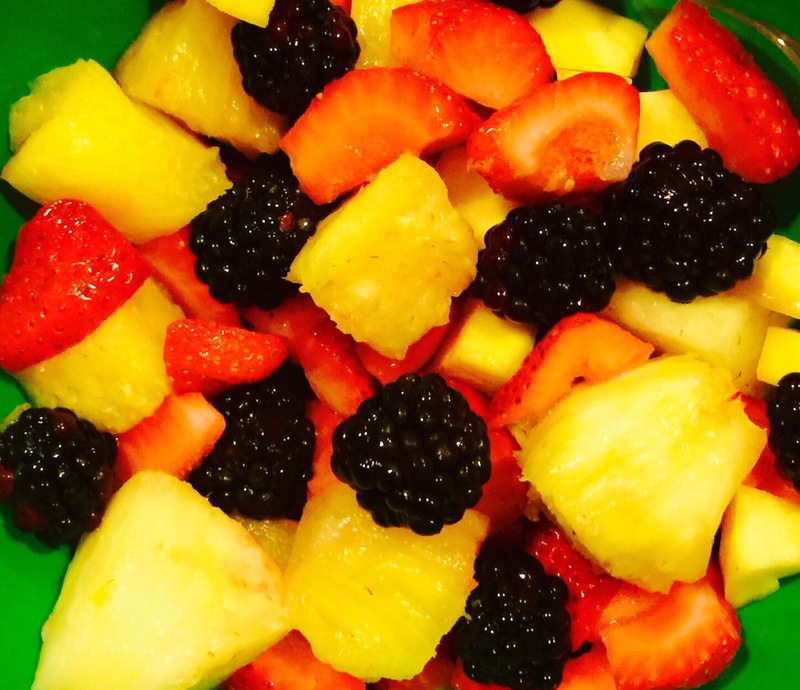 Start with a banana, and then add any combination of fresh and frozen fruit. It’s fun, and tasty too, to try out new combinations, such as watermelon, banana, blackberry. Or pear, peach, banana. If using all fresh fruit, add crushed ice to the blender to chill the smoothie. 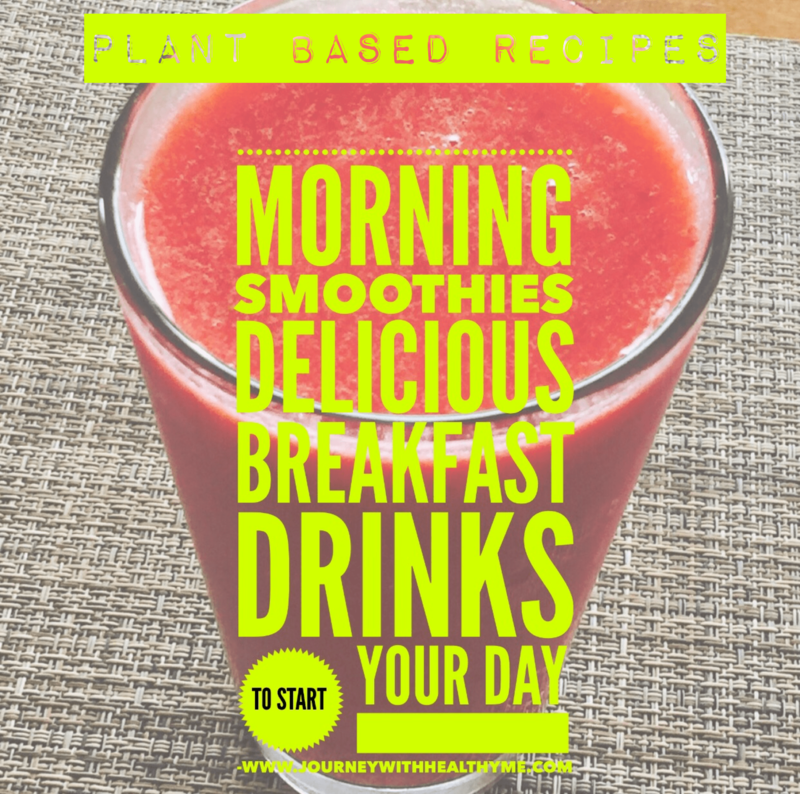 As we approach spring and summer, when fresh fruit is abundant, it is so easy to awaken our bodies with delicious fruit smoothies, and jumpstart our day with healthy benefits. 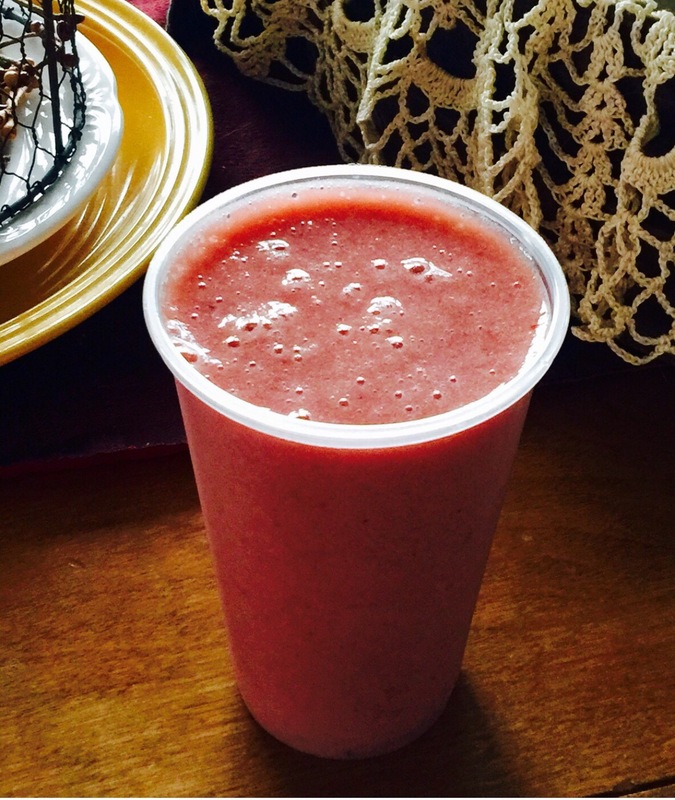 Good mornings begin with good health…and breakfast smoothies! Learn more about the many health benefits found in fruits and vegetables with this information packed book! I’m getting comfortable using my pressure cooker. As I contemplated what to have for lunch, I browsed through one of my pressure cooker cookbooks, Vegan Under Pressure, for inspiration. 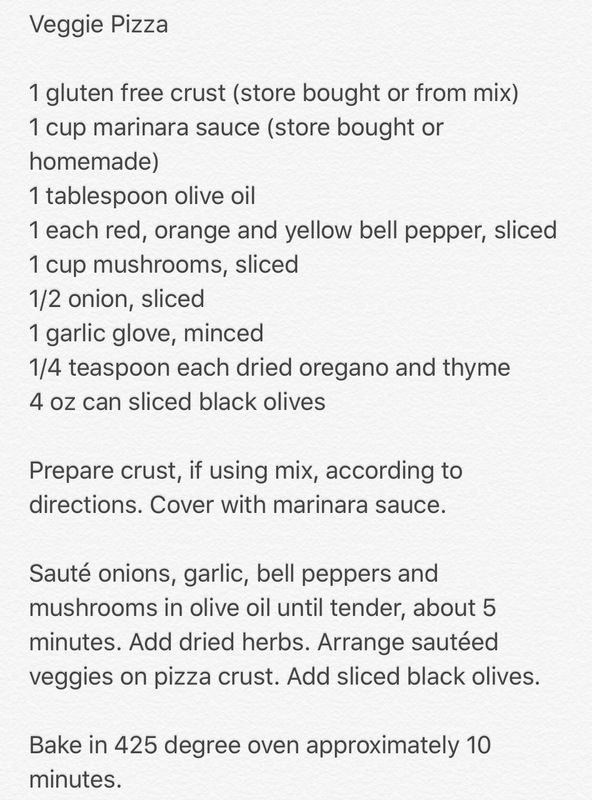 I found the perfect recipe that I adapted, according to the ingredients I had on hand. 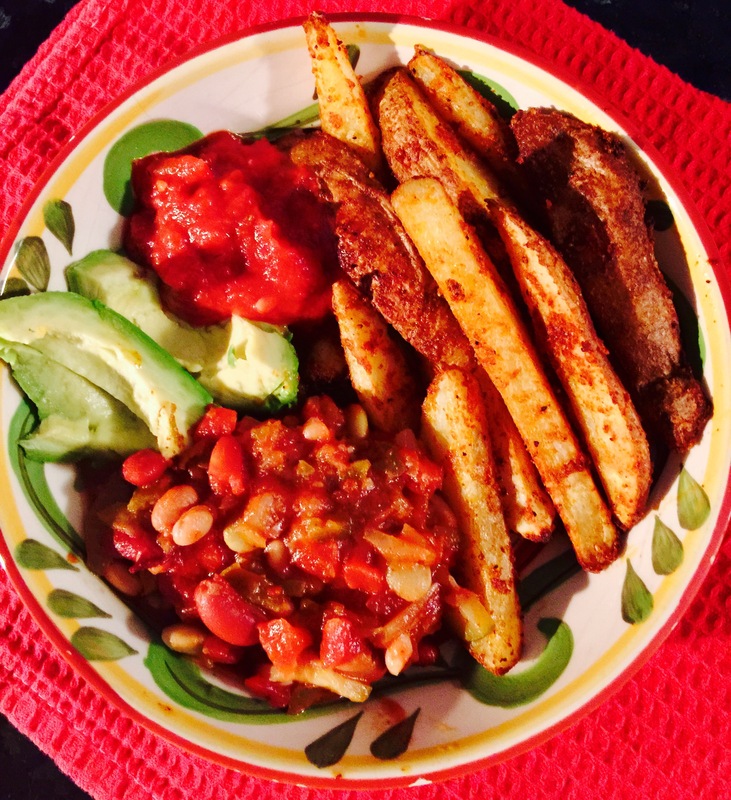 This recipe was so simple to throw together, and so hearty. I loved the inclusion of dried rosemary and thyme. The aroma was marvelous as I carefully removed the lid. Trying out new plant based recipes makes me feel good. 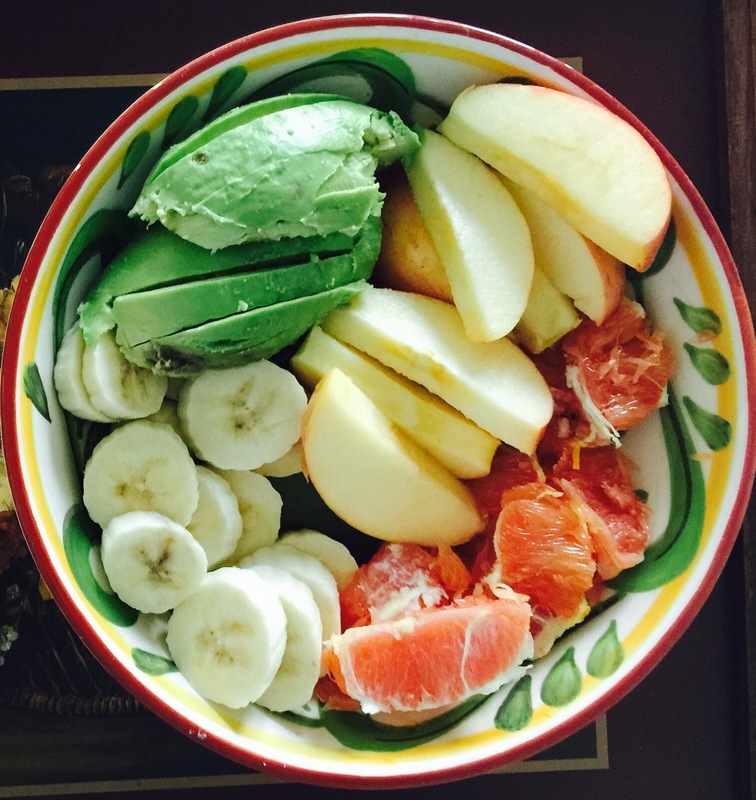 This is self care at a high level, as I prepare wholesome, nutritious foods that nourish my body and fight disease. 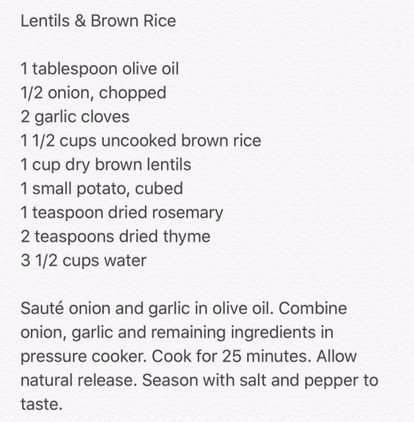 This delicious meal of lentils, potato and brown rice is so much better for me than chips and a sandwich or a trip through a fast food drive through. I am grateful to have embraced a healthier lifestyle, grateful for wellness and vitality and grateful for yummy, satisfying meals prepared in less than 30 minutes. And…I have leftovers for tonight! 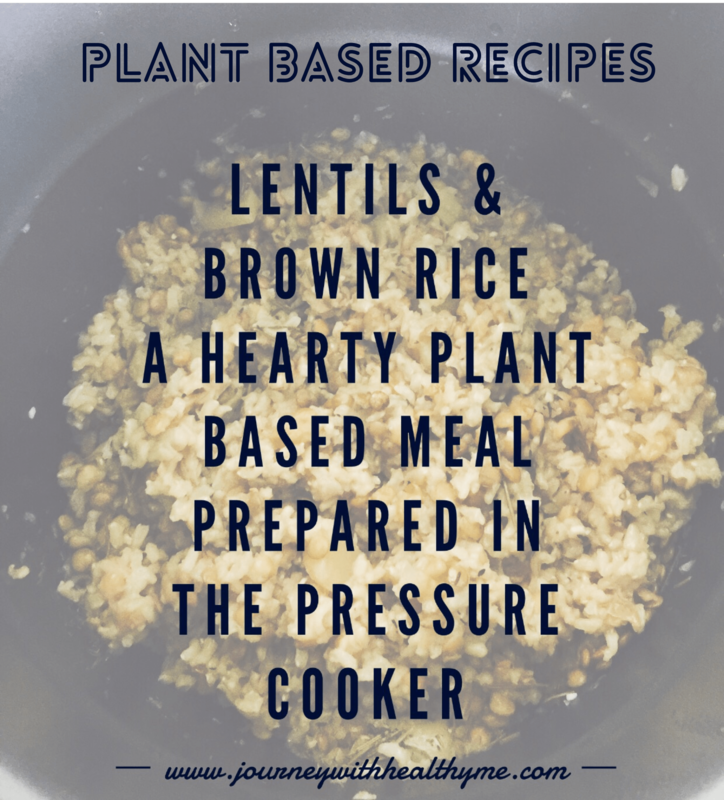 Check out Vegan Under Pressure, for more plant based recipes, prepared in the pressure cooker. I am an Amazon Affiliate and may earn a commission on purchases, at no extra cost to you. Thank you for considering making a purchase of this product, or any other items, through my link! 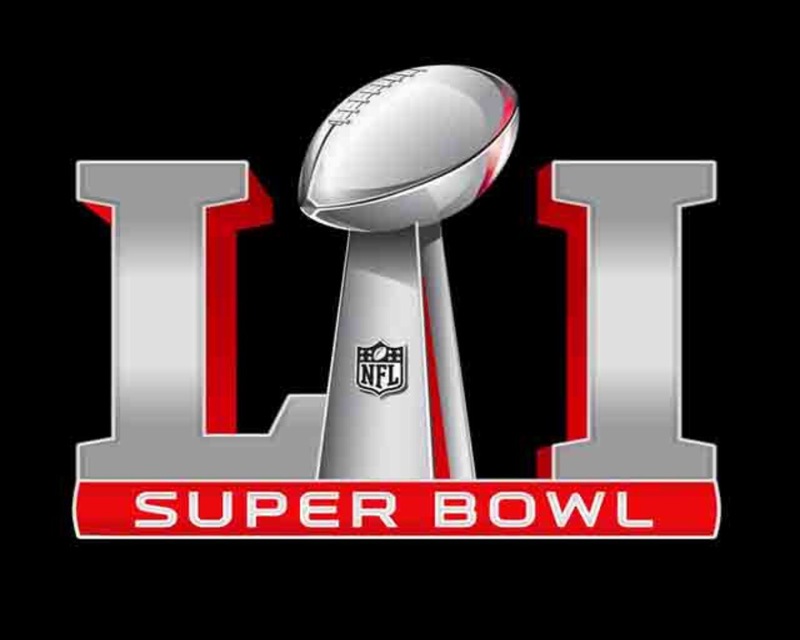 Super Bowl Sunday, which is tomorrow, is practically a national holiday in the US. People gather to watch the game in a boisterous party like atmosphere, where drinks flow and the food is plentiful. Typical fare includes wings, chips and dips, sub sandwiches, chili, and an assortment of munchies and sweet treats. There won’t be a party going on at my house. However, I will join Greg in watching the Super Bowl. It is the one time during football season that I will give the game my full attention. As a nod to the day, I normally prepare an array of snacks and a pot of chili or little smoky sausages. 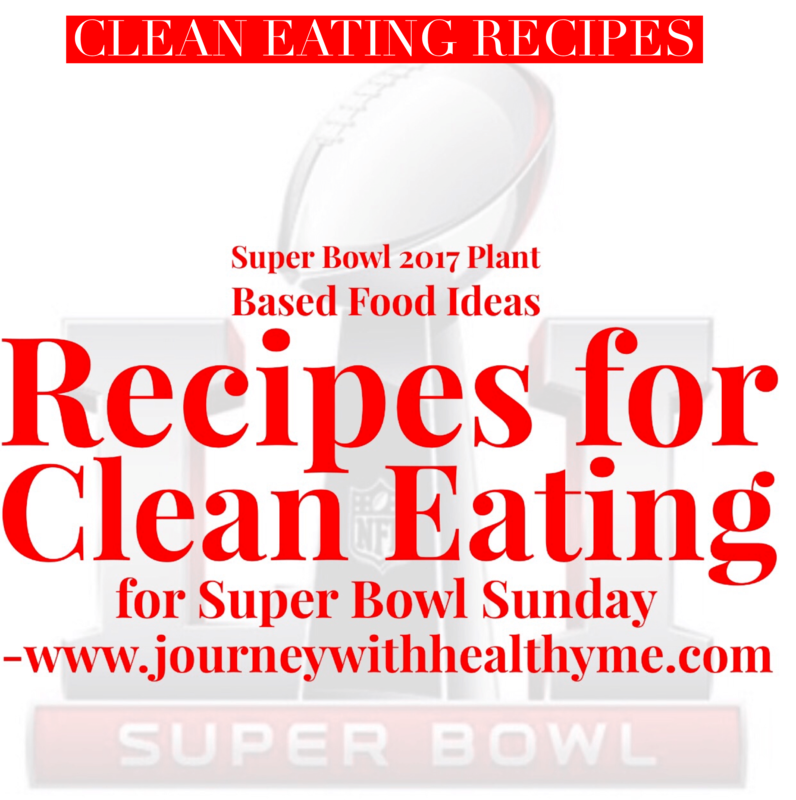 It wouldn’t seem like Super Bowl Sunday without the fun food. But this year, I am preparing plant based chow. It will be just as fun, while also being healthy, and guilt free! 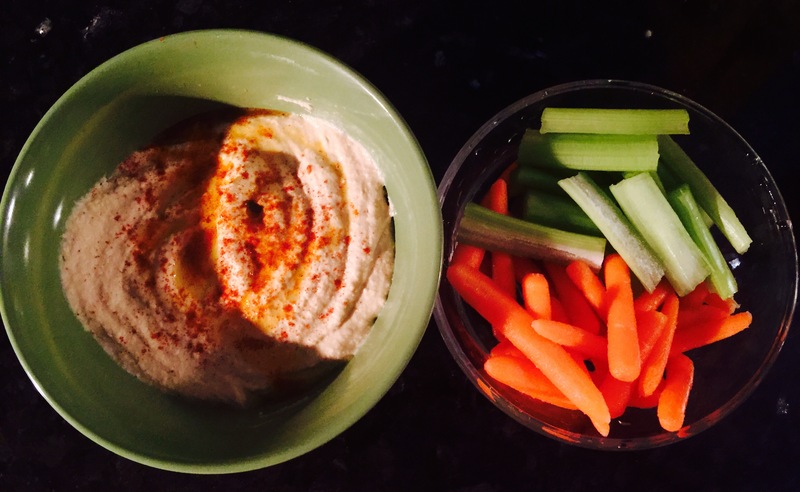 Hummus makes a great snack, served with fresh veggies or gluten free crackers. 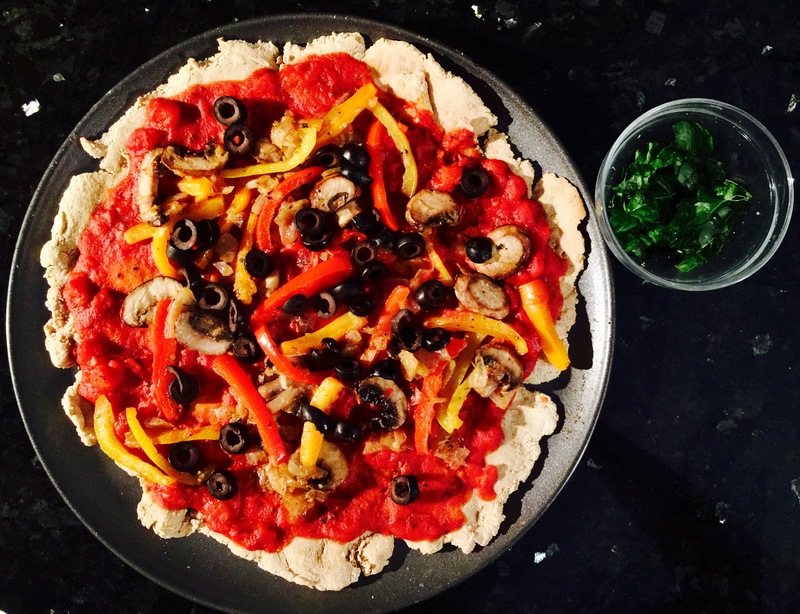 This veggie pizza on gluten free crust is amazing. 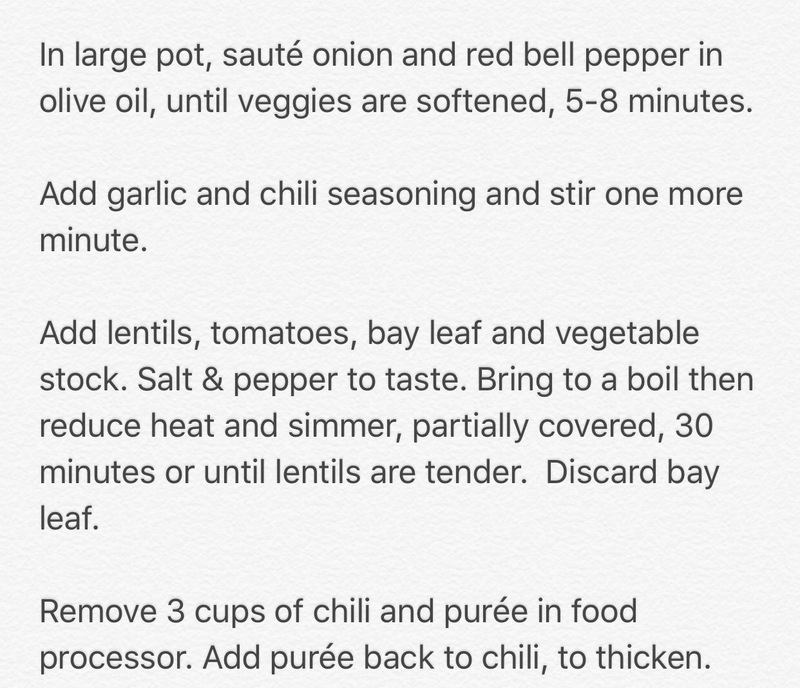 This is a new recipe for lentil chili that I will be trying! 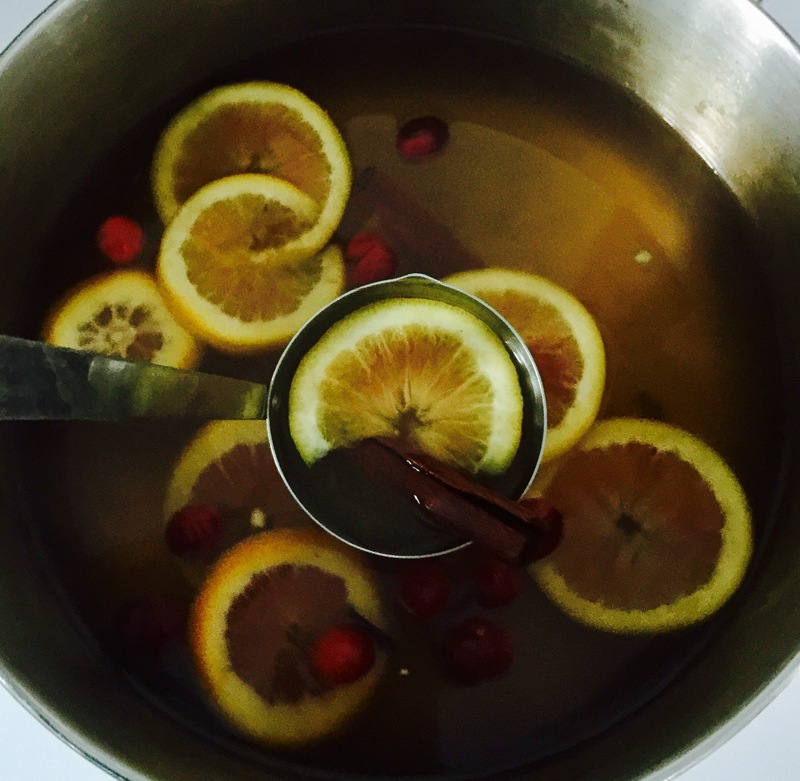 Rather than serving alcohol, which is full of sugar, I’ll prepare this spiced apple cider. I won’t be preparing any sweet treats for tomorrow. Instead, I’ll have available fresh fruit and dates. There will be plenty to eat as I watch the game and chuckle over the Super Bowl commercials. No matter which team wins, I will enjoy the day, and the game. The food will be great and I will feel great, which is of utmost importance to me. Go Falcons! Go Patriots! Go me! Before switching to a plant based lifestyle, I loved eating sushi. Granted, I preferred California Rolls, which were primarily veggie based, however I also enjoyed sushi with fish, crab or shrimp. 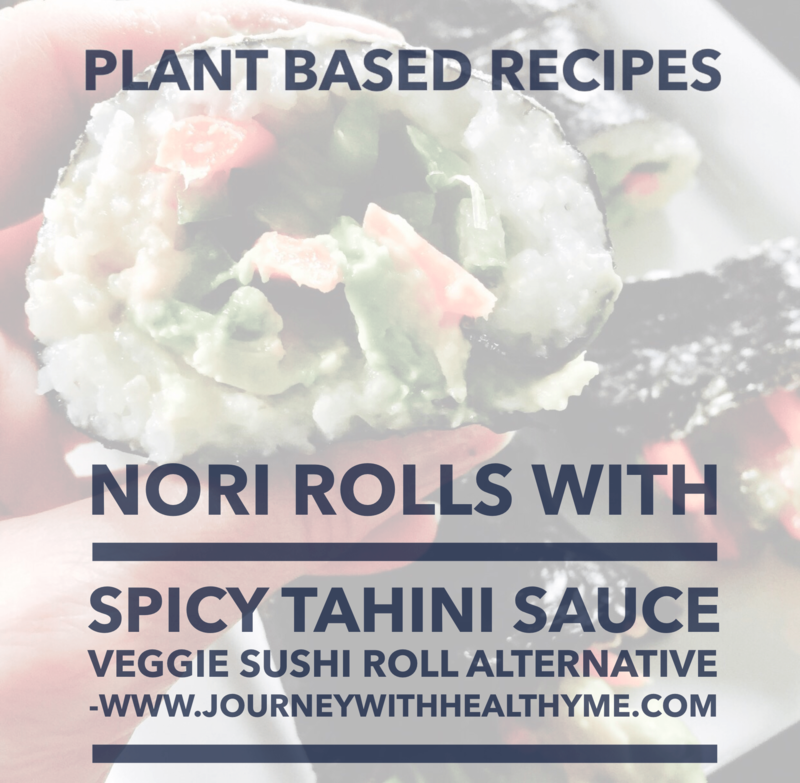 I have saved several vegan sushi and nori roll recipes on Pinterest. 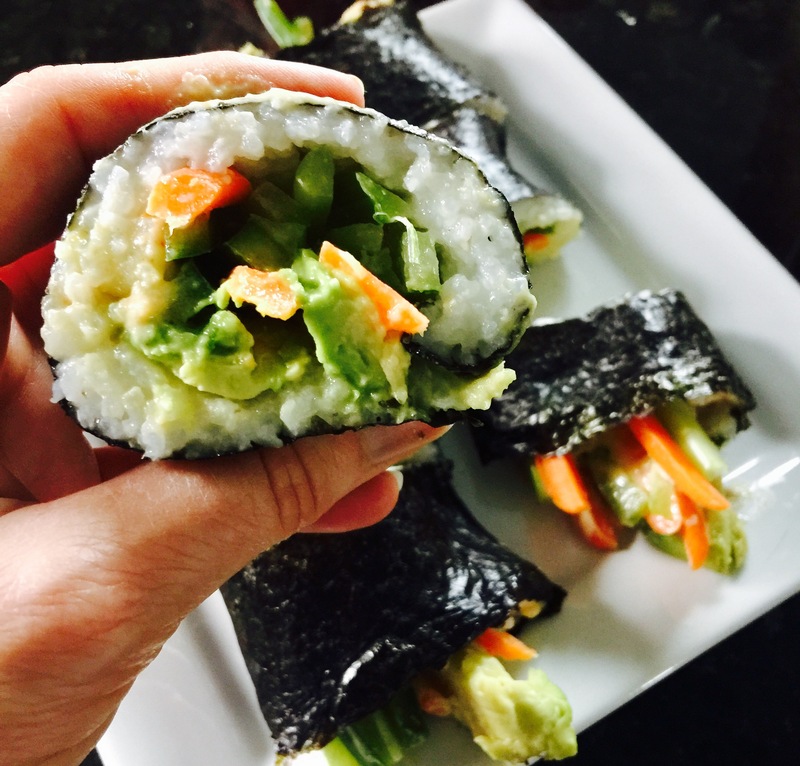 When I found vegan, non GMO sushi rice and nori wraps at Sprouts in Broken Arrow, OK, I purchased them so I could make my own healthy rolls. 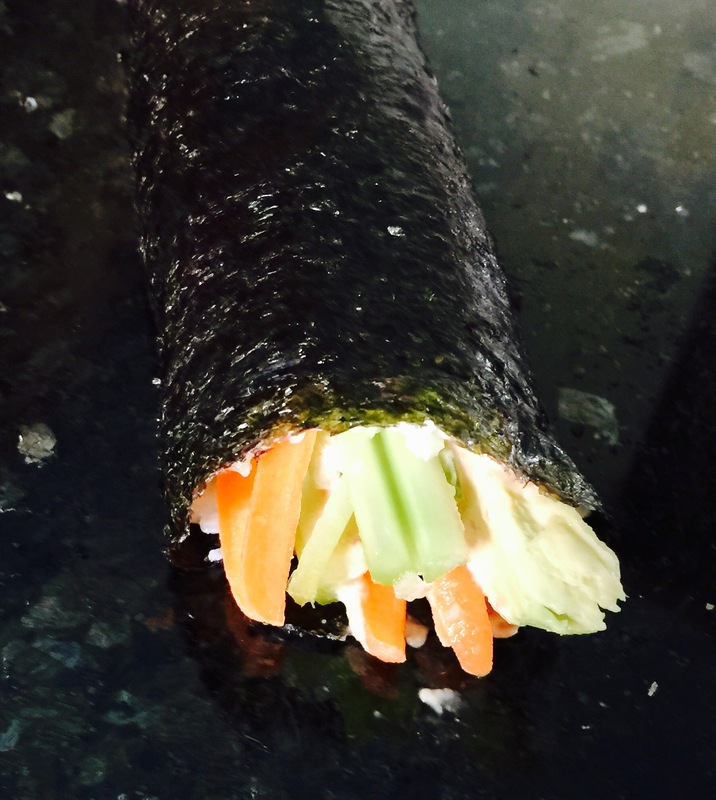 I felt inspired to try this first today, making my own nori rolls for lunch. I prepared the sushi rice according to the package directions. While the rice cooked, I sliced several veggies…celery, carrots and green pepper…into thin strips. I cut up an avocado as well. That’s the beauty of creating my own nori rolls. I can use whatever vegetables or fruits that I have on hand. 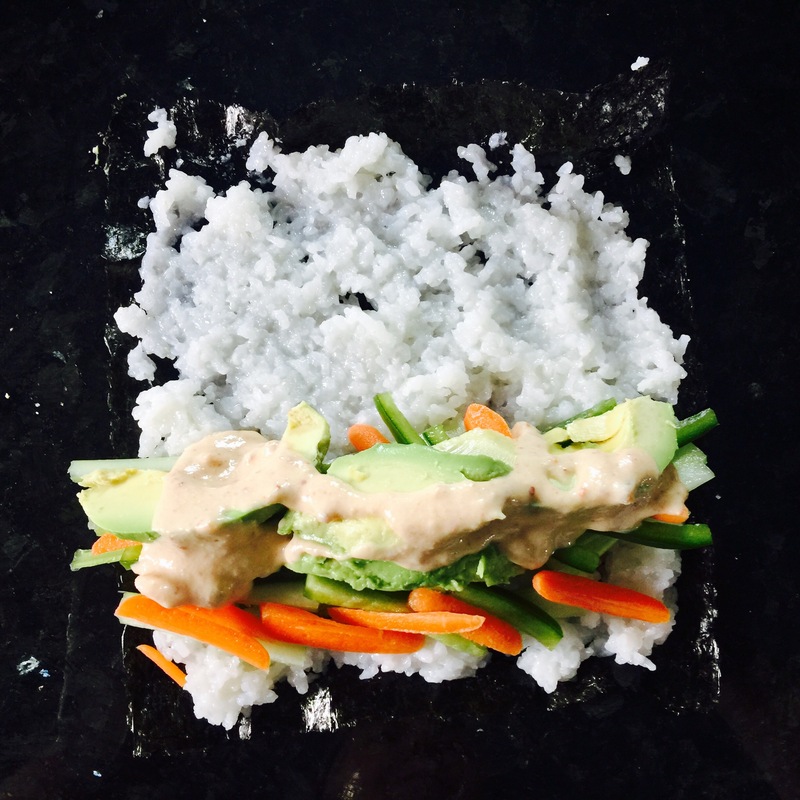 As the timer counted down on the sushi rice, I made the spicy tahini sauce, adapting a recipe I found on Pinterest. 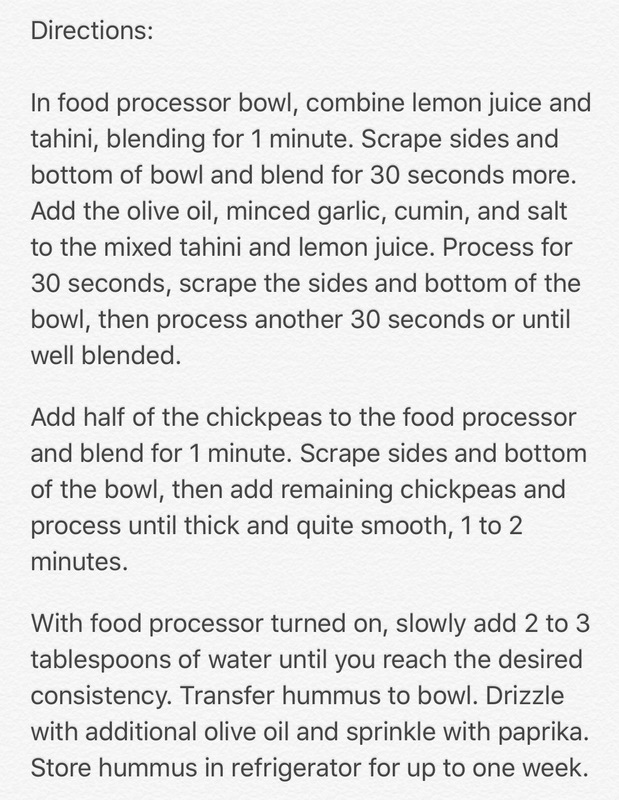 In a blender, I combined 2 tablespoons of freshly squeezed lemon joice, 1 tablespoon mashed chickpeas (from a can), 1 tablespoon tahini (purchase at health food store or find in international aisle of larger grocery stores), 1 garlic clove, minced, 2 dates, and 1/4 teaspoon crushed red pepper. 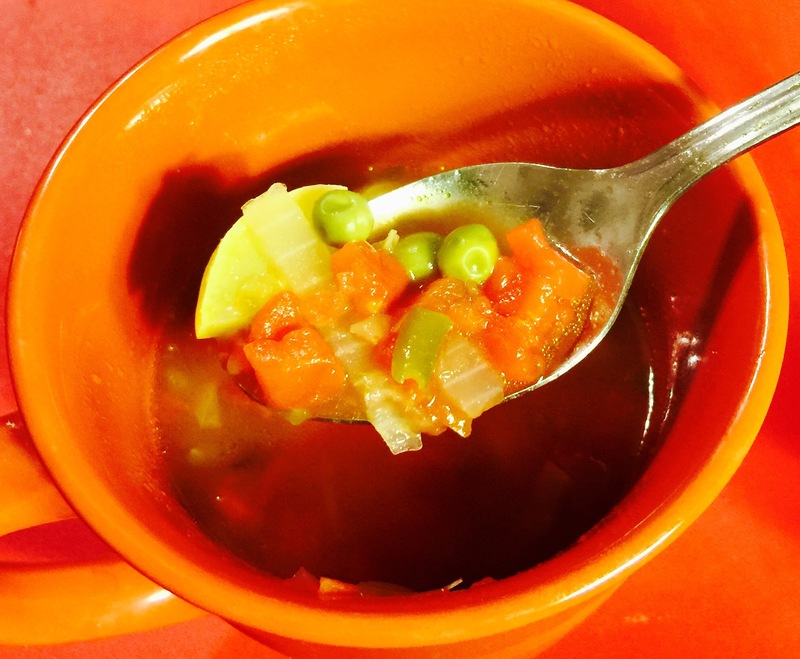 I slowly added 2 teaspoons of water as the ingredients blended, to create a smooth sauce. 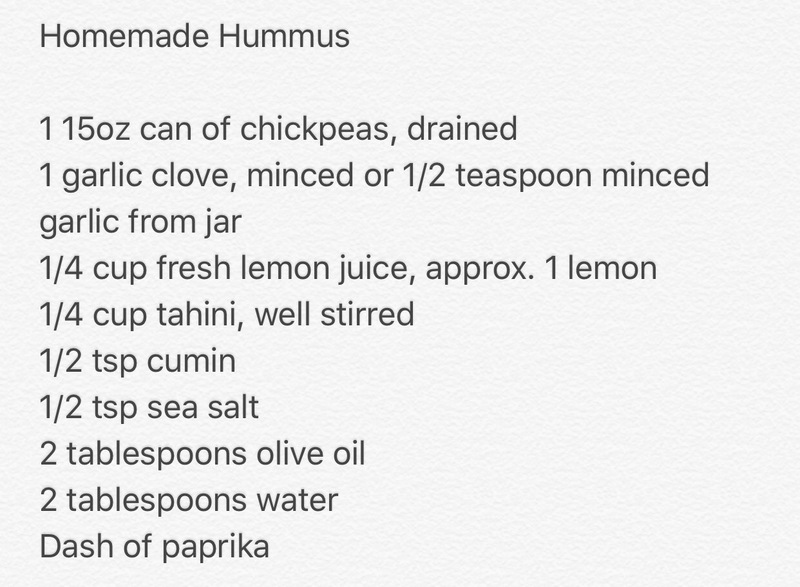 The tahini sauce was so delicious! 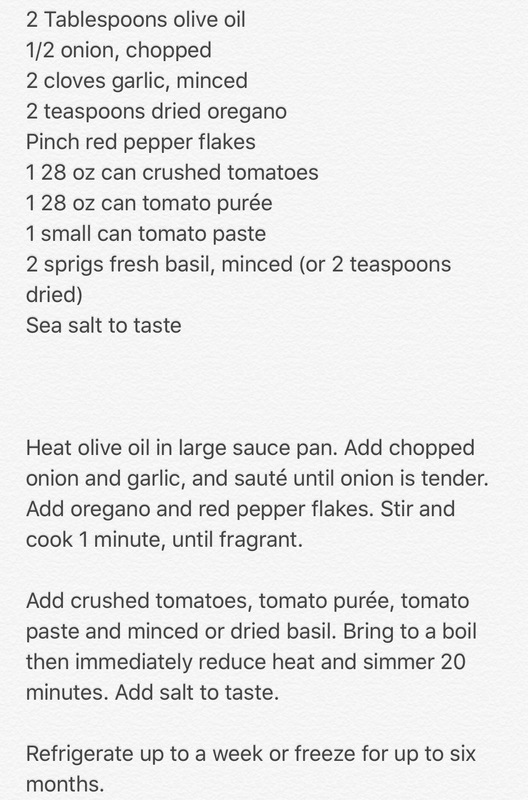 It would make a great salad dressing or dipping sauce for veggies. I covered a nori wrap with a thin layer of sushi rice. Near one end, I arranged the slices of veggies and avocado and drizzled on the spicy tahini sauce. After sprinkling with sea salt and coarse black pepper, I carefully rolled up the wrap, keeping everything inside! These rolls were not difficult to make, however I need to cut back slightly on the amount of veggies that I used as filler. They turned out great, if a bit messy, and the taste was so satisfying! I am connected with an amazing and supportive group of people on Instagram who are improving their health and well being by way of wholesome, nutrient rich foods. Many are healing from inflammation and diseases. Some have chosen a vegan or plant based lifestyle for their health and also for the health of the planet. Daily I am inspired by their pictures of colorful, healthy meals. One Instagram friend, who goes by the name of Geoff the Vegan Dad, posts his daily lunches. More than meals, Geoff’s creations are works of art. I appreciate how beautiful his lunches are and I learn a lot about preparing nutritious meals as I follow his journey. 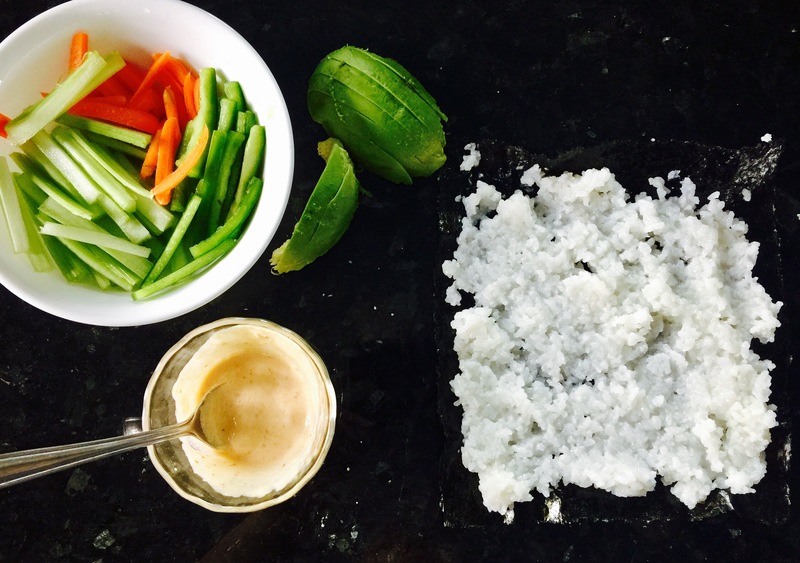 He has fun, creating a different lunch from scratch each day and sharing the results. I realized that’s so important, to have fun creating in the kitchen. It is playing really, quite literally playing with food, while experimenting with flavors and seasonings. I played today. And then I savored. 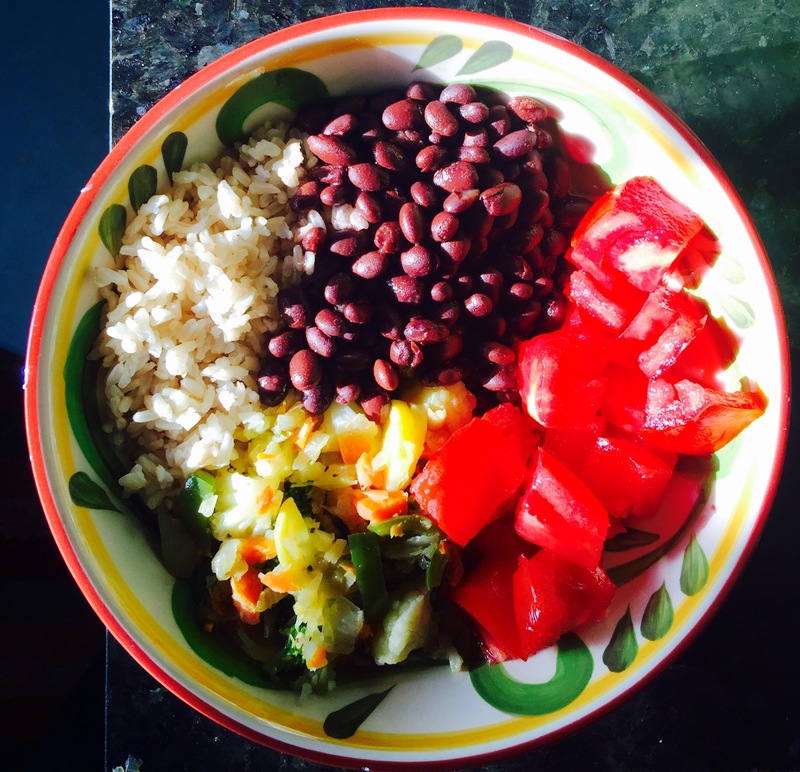 What Do You Eat Following a Plant Based Lifestyle? This is by far the most frequent question that I get asked, when people learn I’ve adopted a plant based lifestyle. They are curious, or incredulous, or considering a change in diet themselves. I am always happy to answer questions! 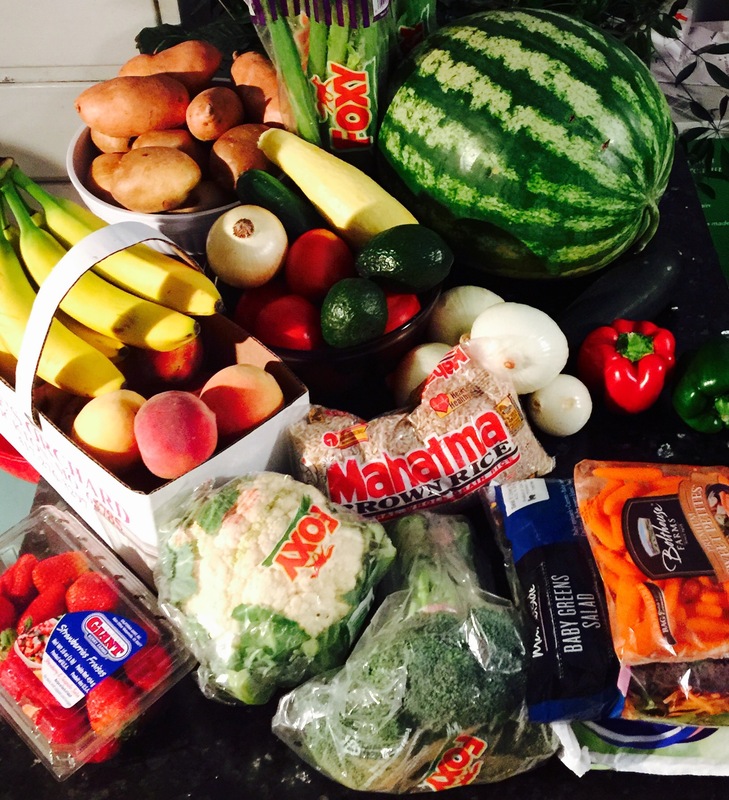 Today’s post covers a typical day for me, following a plant based lifestyle. My morning routine is important. I have rested and there are toxins ready to be flushed from my body as I rehydrate and prepare for the day. 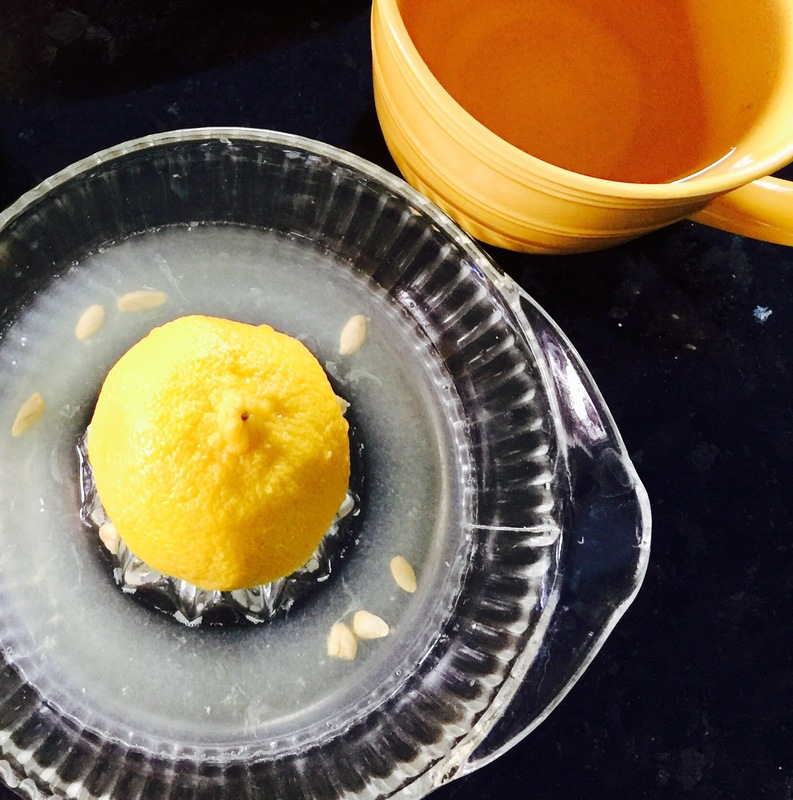 There are so many benefits from drinking a cup of warm water with the juice from half a fresh lemon, that it warrants its on blog post. Soon. 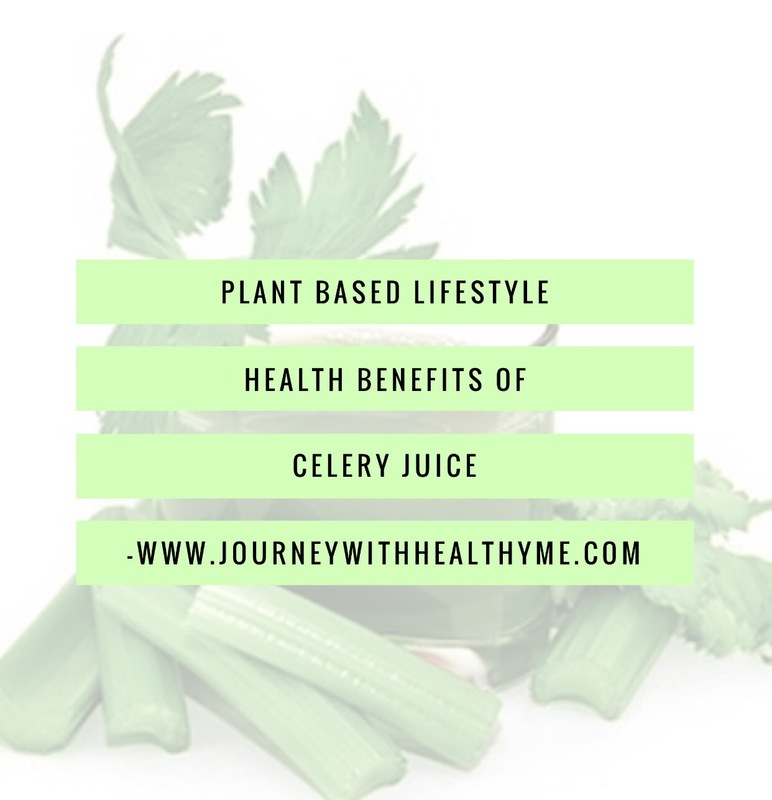 This drink wakes up my body as it provides hydration, and necessary minerals and vitamin C.
After lemon water comes a glass of freshly prepared celery juice. 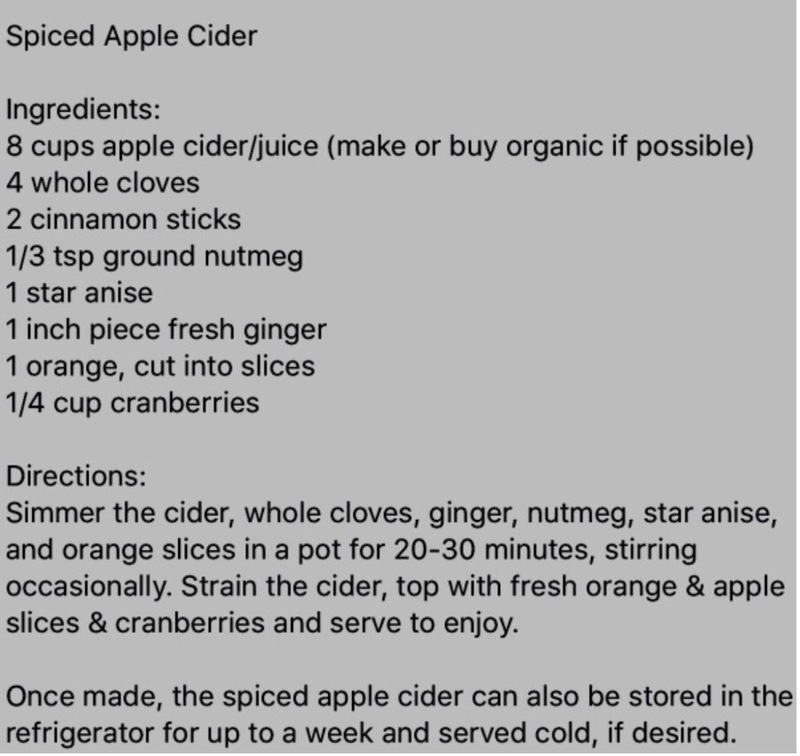 I began drinking this juice about a year ago, after reading the Medical Medium’s post about its many health benefits. 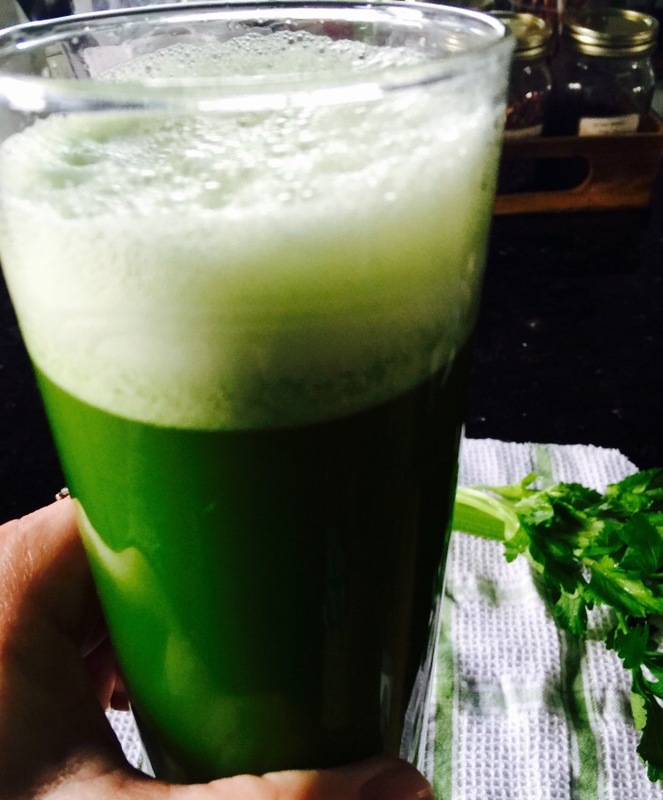 Celery juice heals the digestive system by alkalizing the gut. It is a powerful anti-inflammatory that flushes toxins and debris out of the intestinal tract. 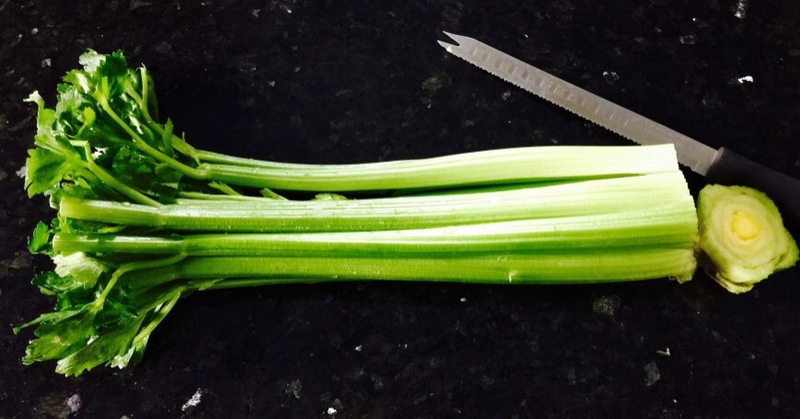 More about the amazing healing properties of celery in an upcoming post. Breakfast smoothies are my favorite meal of the day. Fruits can be blended together in endless combinations. I have a different smoothie every morning, using a banana as the base. I add fresh fruits, such as strawberries or an orange or a chopped up pear, and add a cup of frozen fruit, such as wild blueberries or pineapple chunks, and 3/4 cup of water. 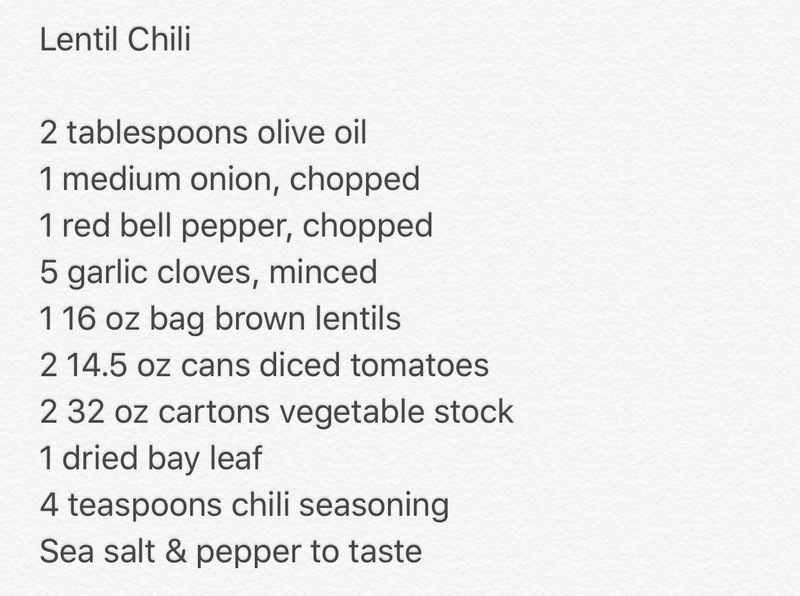 I also like to add chia or hemp seeds. 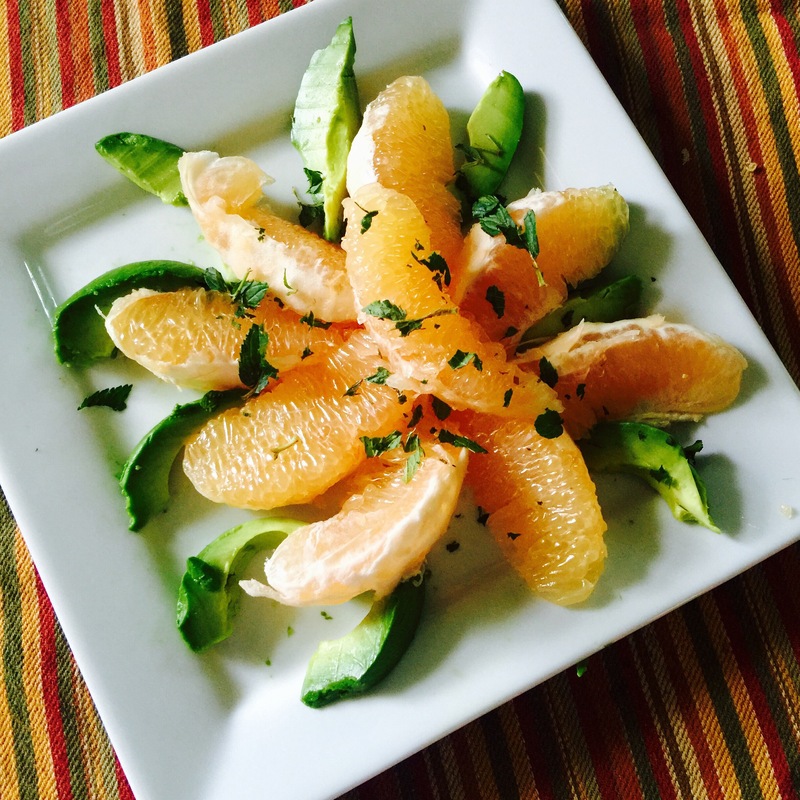 Lunch is a simple, raw salad such as this grapefruit, avocado delight. Or it might be a fresh fruit bowl. I typically eat raw for lunch, however a platter of cooked veggies is a possibility too. 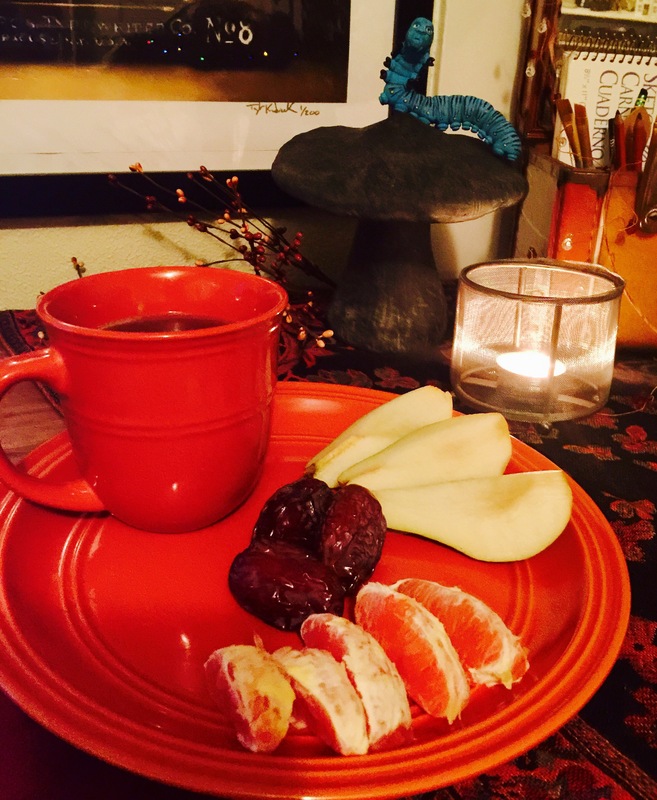 Afternoon snack is fresh fruit, such as sliced apples, an orange, and dates with a cup of hot herbal or Scottish tea. 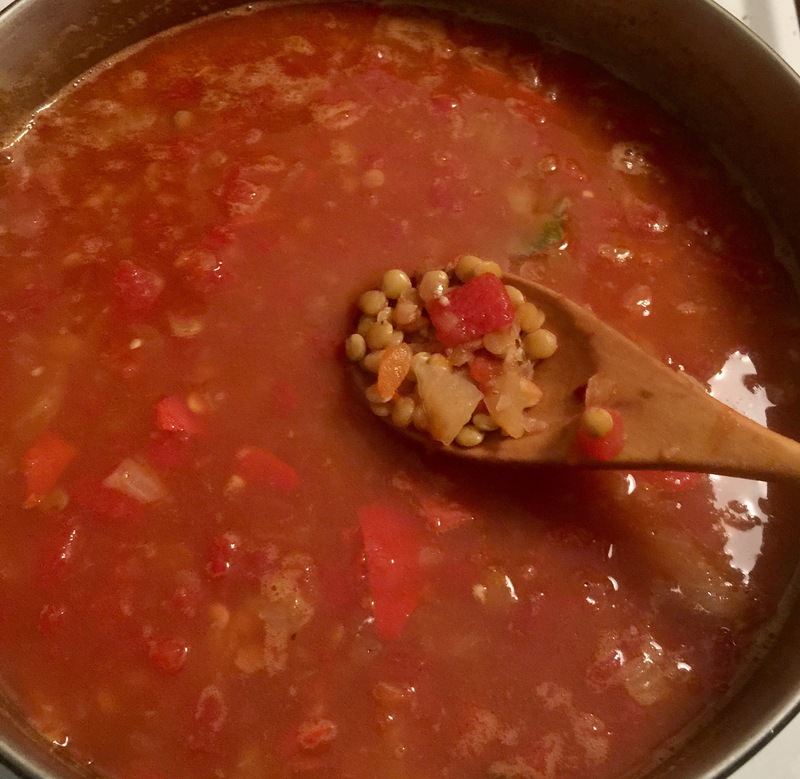 Dinner is a bowl of cooked and raw veggies with brown rice, or vegan pizza on gluten free crust, a bowl of vegetable soup or brown rice pasta with my own marinara sauce. 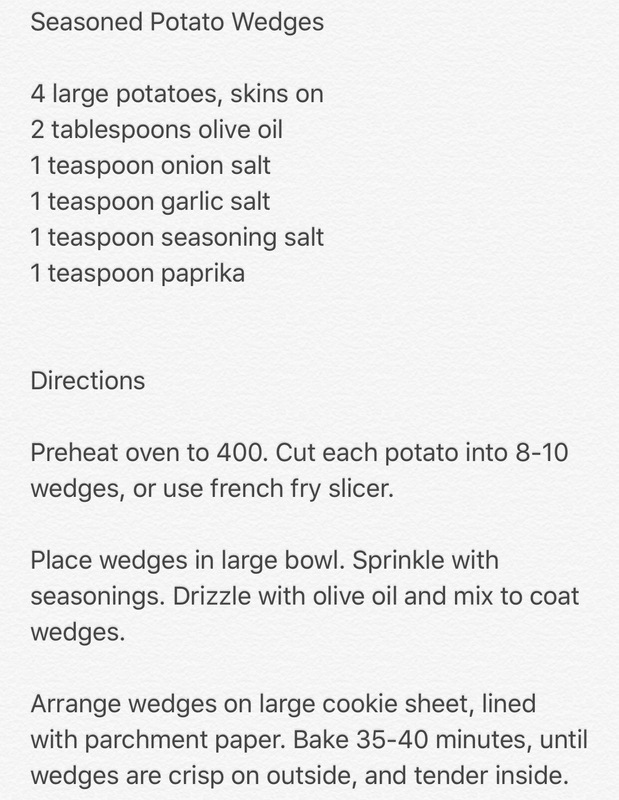 Again, the possibilities are many, and can be as simple as oven roasted potato wedges or more creative, like lentil curry. 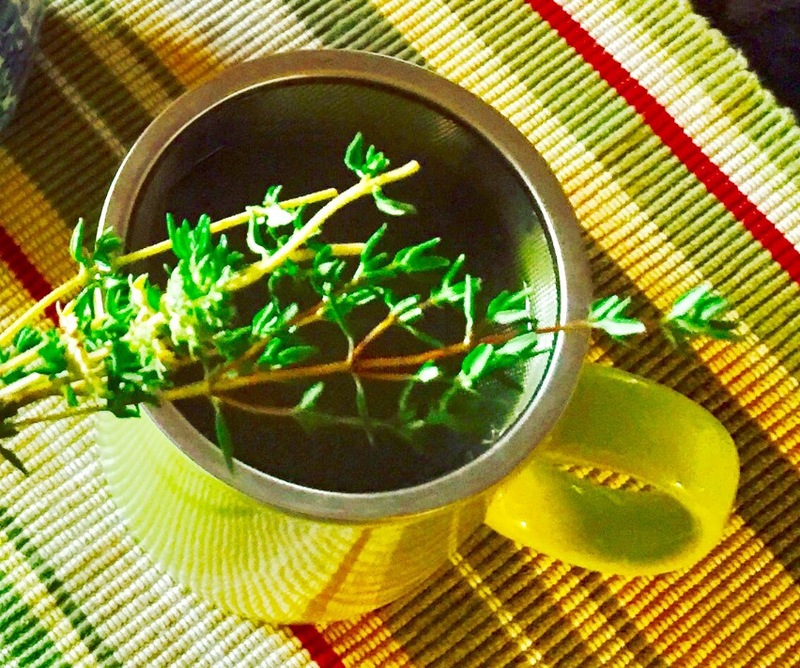 I finish the day with a cup of hot herbal tea and a small snack if I’m hungry. That might be raw fresh fruit, celery, dates or a handful of unsalted cashews. This is an average day. 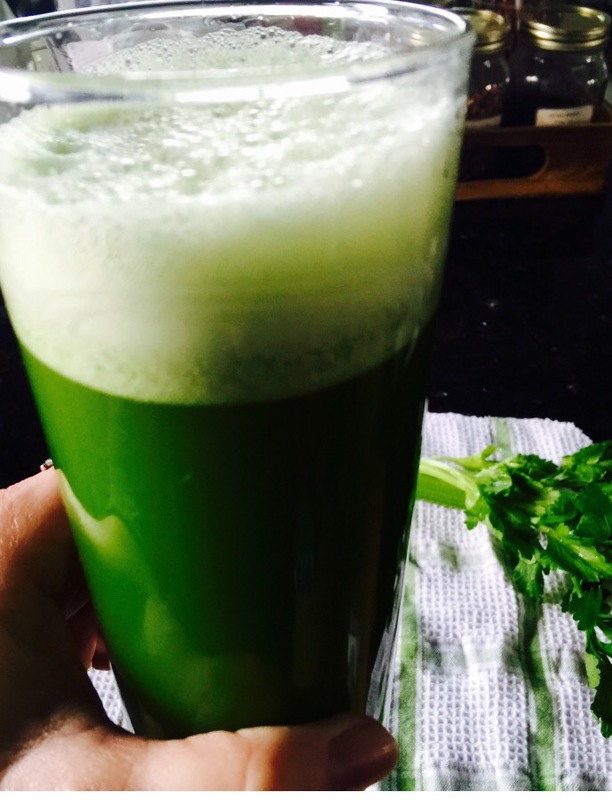 On busy mornings I may skip the lemon water or celery juice, but I would rather not. I might have salsa and non GMO gluten free chips for a snack. I read labels on everything and avoid most cooking oils such as canola. I’m aware of my NO list, which includes meat, dairy, eggs, sugar, corn, soy and gluten. I remind myself daily that I have made this choice and this commitment for improved health and well being. I take 18 supplements a day, herbs primarily, to support my immunesystem and destroy viruses in my body. This has not been a difficult transition to make, as there is such a variety of fruits and vegetables available. What I eat is not boring or bland. It is full of flavor and life nourishing nutrients. I am highly motivated to continue this journey because of the good health I am experiencing and the amazing changes in my body in a relatively short amount of time. The next most frequently asked question I get is How long are you going to eat this way? My answer is, for the rest of my life. Simple enough, right? I am not missing any foods or missing out on any celebrations or life events. Trust me, I am eating well and loving what I eat. I have a very healthy relationship with my food. And a very healthy relationship with myself. I am plant based. And I love it. 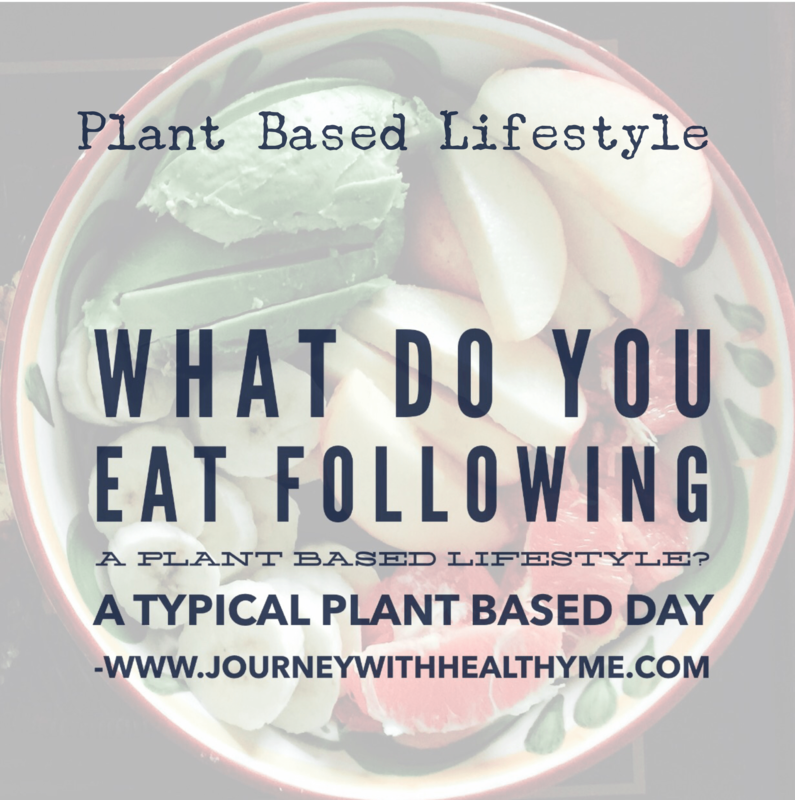 Posted on February 1, 2017 Categories Plant Based LifestyleTags A Plant Based Day, Healing Journey, Healthy Me, Journey with Healthy Me, Plant Based, Plant Based Lifestyle, What Do You Eat When You Are Plant Based?4 Comments on What Do You Eat Following a Plant Based Lifestyle?